The Raleigh Beer Garden earned worldwide attention when it opened in downtown Raleigh&apos;s Glenwood South entertainment district in 2015. That&apos;s no surprise, considering the popular nightlife spot is the new Guinness World Record-holder for most beers on draft (just over 400 at last count!). Locally grown, Raleigh Beer Garden is the brainchild of passionate mind Niall Hanley—Ireland native, Raleigh resident and owner of Hibernian Hospitality, which includes other popular restaurants and pubs Dos Taquitos XoCo, Hibernian Restaurant & Pub, Solas Restaurant Lounge & Roof and The Station. 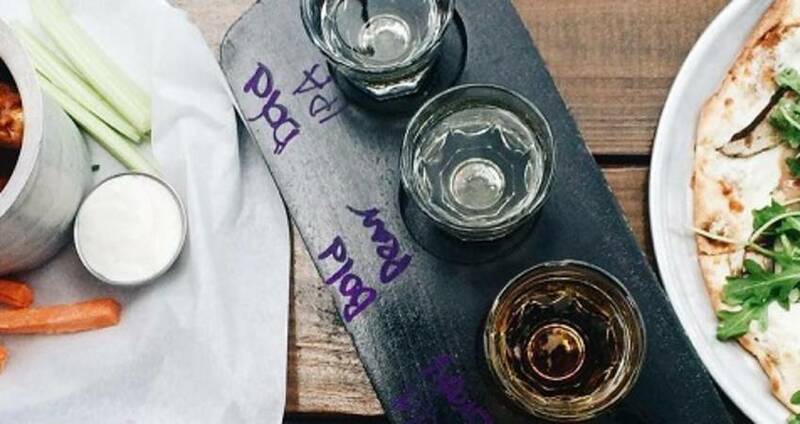 Our #visitRaleigh photo of the week comes from Instagram user @meghanleonard22—buffalo wings, handcrafted pizzas and multiple flights of beer are the certainly some of the best ways to catch our attention. Tag your photos with #visitRaleigh on Instagram, Twitter, and Facebook for a chance to be featured on our accounts!